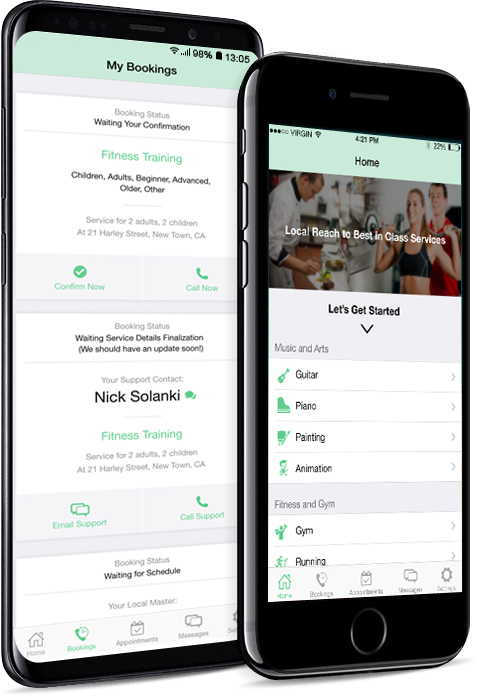 Now you can request sessions, schedule appointments, track sessions, capture moments and even chat with the instructor with our feature-rich mobile app. Stay connected on the move and personalize your training sessions entirely to your needs. Reach out to us if you aren’t 100% satisfied with the service, and we will return your payment. I appreciate that Karla is not only an outstanding player, but a gifted teacher. Karla was willing to work with me on my specific classical guitar interests and advise me on how to practice efficiently and interpret the piece in a musically meaningful way. Fantastic! Richard is an amazing trainer whether you are 20, 30 or over 50 he makes exercise fun. More importantly, you will see and feel results.